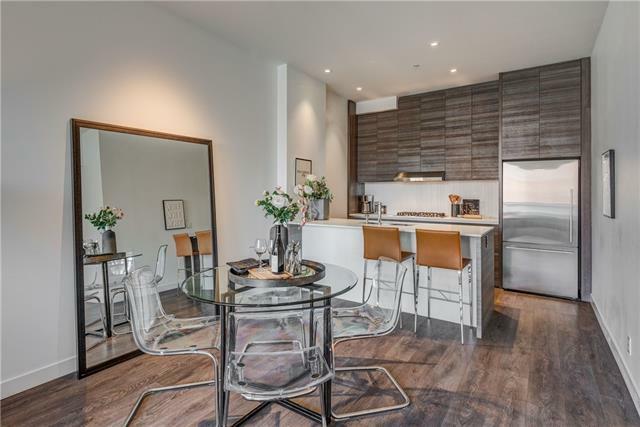 Two Underground Parking stalls are included in this inner-city town home. Soaring ceilings on the main floor with huge windows, a floor plan that's wider than most infills. Steps away from every major hangout, upscale shopping and winning eateries. 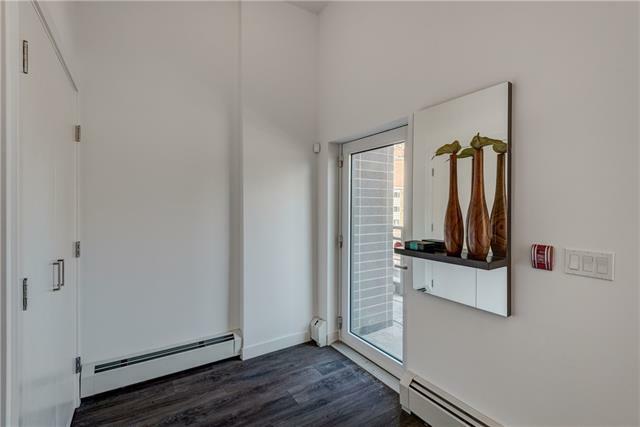 This is a grand layout offers 2-bedrooms upstairs and there's a 5-piece bathroom with heated floors like an upscale hotel; there are his and hers sinks, a soaker tub and frameless-glass shower. The laundry room and 2nd bedroom are also up on the 2nd floor. 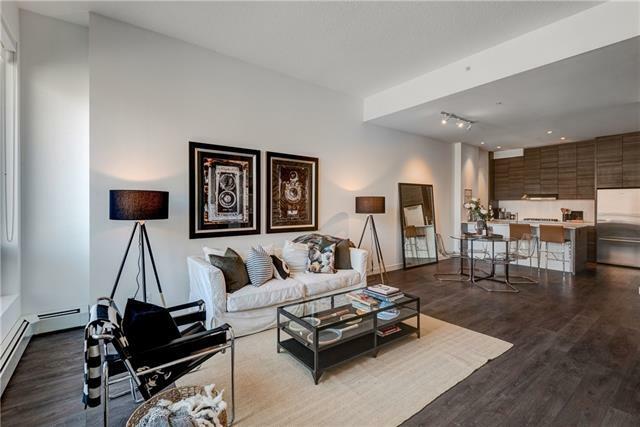 This home offers great access to the core for work and play and is a block to Lougheed House restaurant and gardens. 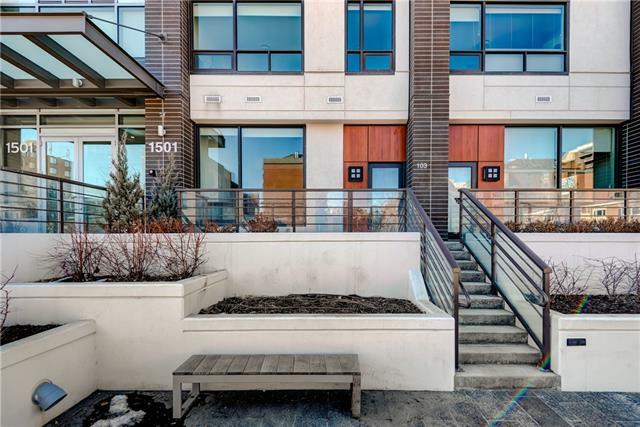 Very walkable and close to the bike paths, plus you can walk to the Stampede Grounds. SMITH offers concierge service, a bike share program and lots of visitor parking.